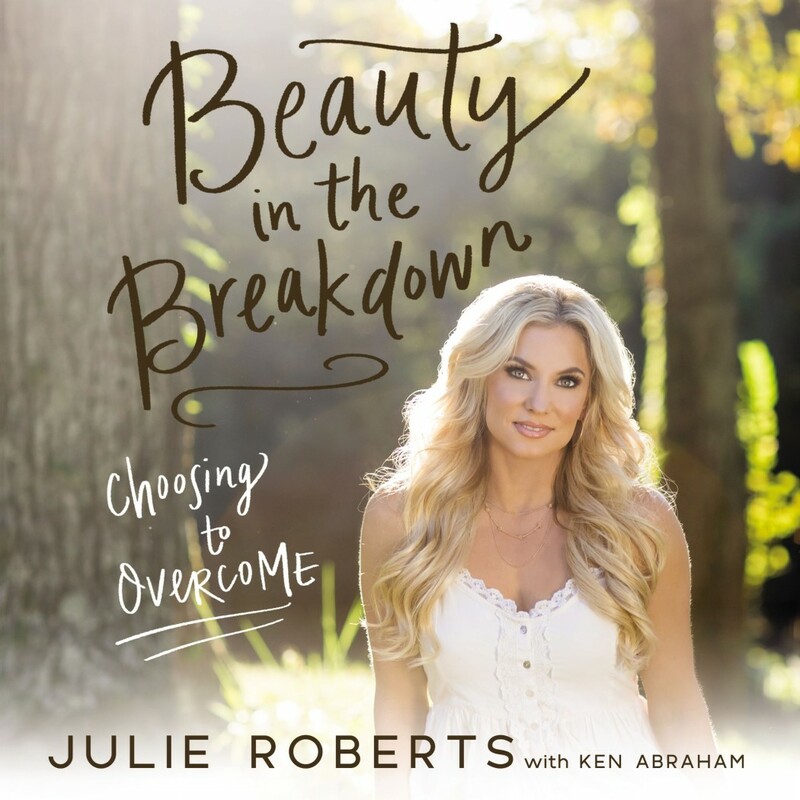 Beauty in the Breakdown | Julie Roberts with Ken Abraham | Audiobook Download - Christian audiobooks. Try us free. Country music singer Julie Roberts is no stranger to overcoming hard times through determination, hard work, and strength. Having escaped the emotional residue of her alcoholic father's actions and insults, Julie moved from South Carolina to Nashville, Tennessee, to attend Belmont University and work as a receptionist at Mercury Records - all while secretly pursuing her dream of becoming a singer. Filling her nights with music and booking shows at obscure venues, the one requirement when Julie was hired at Universal Music Group was that she not be an aspiring singer. Yet, despite her best efforts to keep quiet, Julie knew God had placed music within her as a child and that it was bound to come out sooner or later. Raw, honest, and sometimes painful, Julie's lyrics resonated quickly with country music fans, and her emotion-soaked debut album - a reflection of her own painful past - was an instant success. Just as Julie's dreams were coming true, her life began to unravel. Soon, she was battling debilitating physical illness, the rising waters of Nashville's hundred-year flood, and a stalled career. Instead of succumbing to despair, Julie proved miraculously resilient - taking the steps she needed to face adversity head-on and rebuild her life through her characteristic optimism, hard work, and faith. Journey with Julie as she walks through the highs and lows of her career, the personal struggles she's endured, the lessons she's learned, and her sense of purpose as she rebuilds her singing career and contributes her voice to the work of supporting others with multiple sclerosis. Julie's courage combined with her joyful personality and love for God will encourage listeners in a uniquely powerful way.